A friend reminded me this week that I had better get a wriggle on if I am going to try 365 cheeses in 365 days. This inspired two desperation buys this week. 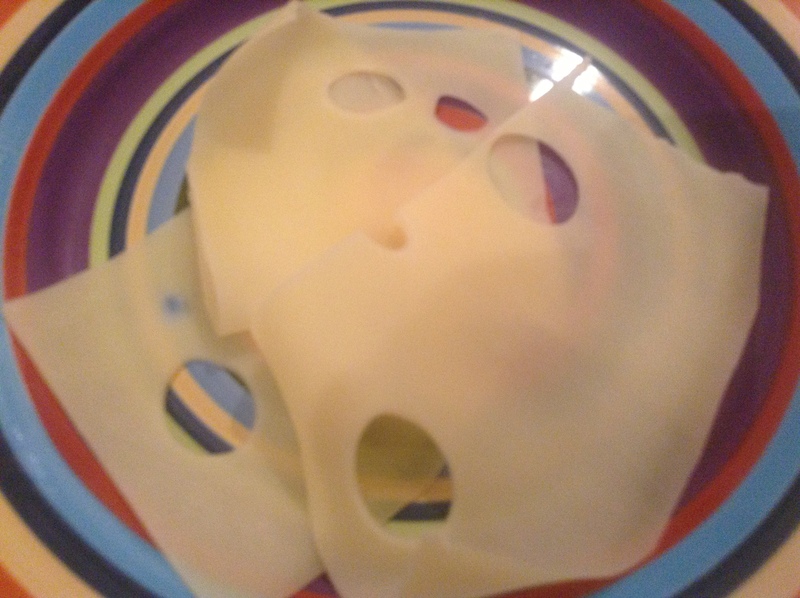 The first, Emmental aka the old favorite Swiss cheese. And just like the Swiss, it is mild, non offensive and just a little bit boring. Apparently three types of bacteria are used to produce this cheese, you would think that at least one of them would leave an impression? This one had already been massacred by the industrial cheese slicer at Carrefour and something may have been lost in translation. I tend to like my cheeses to be able to stand on their own, this needed some wind assistance including chutney and water crackers to really bring it to life. This is a curd cheese made from pure goat milk, then flavored with a spice found exclusively in southern France (actually the Basque region). The Piment d’Espelette is red when mature, and relatively small and mild. 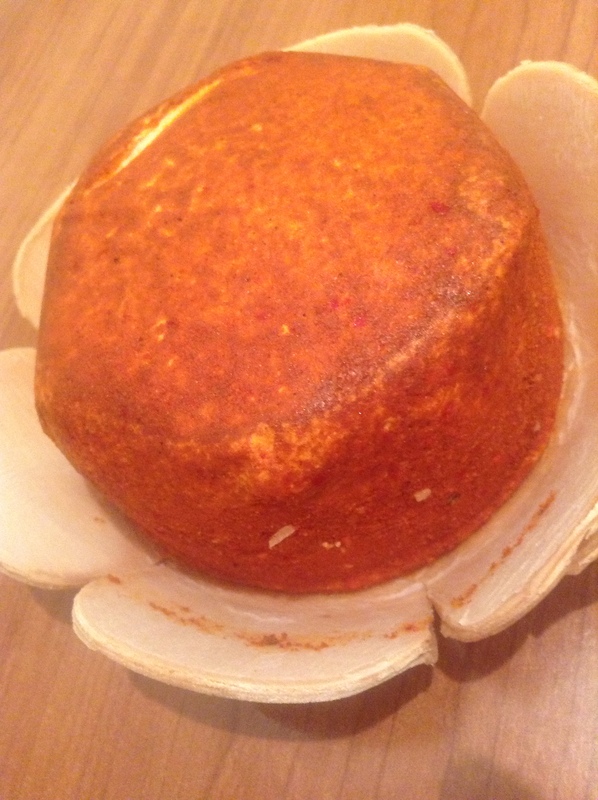 Heat-wise, it is usually compared to paprika. I had expected it to be, well spicy. It wasn’t as such. The goat cheese itself was, as expected, creamy and tangy. So in all, mixed results on this excursion. Just goes to show, desperation never pays…although sometimes it can pay the rent. Shame about the emmenthal, but I love your plates!